Working from home is no longer a new phenomenon but is one that is becoming a common trend in our world today, all thanks to the internet. The thought of being able to meet your financial needs by engaging in activities at the comfort of your home is bliss. Generally, you can freelance in these positions on Freelancer, Upwork, Fiverr, PeoplePerHour or any other freelancing sites. There are some specific platforms that offer employment but often on a contractual basis. For those who are still thinking of venturing into that arena, here are some of the job options. Like the actual jurors, mock jurors get paid to participate in mock trials. This is just extra money, and sometimes your chances of getting picked will depend on your geographic location and other factors. Some sites where you can get paid for this role include, ejury, online verdict, and jury talk. To do this job from home, you will need to be internet savvy and speak fluent English. You will also need some basic equipment like a computer with a microphone, broadband internet connection, and an updated web browser. Most tests take between 5 – 25 minutes to complete and pay an average of $10 per test. Sites where you can include UserTesting, TestingTime and StartUpLift. Another easy job which can be done from home is taking surveys. If you enjoy taking surveys, there are a lot of companies who are willing to pay for such tasks. You might be required to take an opinion poll, answer questions about shopping habits or even review a product. You’re generally paid in cash (PayPal or mailed check) or with points that can be redeemed for gift cards. Some of my favorite survey sites are Opinion Outpost, Toluna, Swagbucks, and others here. This is also quite popular. Transcription essentially involves you listening to audio files and typing out what you hear. Easy enough, right? Companies usually hire transcriptionists without much experience, so some job postings might only require you to have a computer and keyboard to get started. Transcription jobs can vary from transcribing a college lecture to a doctor’s medical dictation, while most companies allow you to make your own schedule. See this list of transcription for beginners and pros. Online data entry is a growing work-at-home field. New technology makes it easier for companies to hire independent contractors to work on data entry projects. Data entry operators may remotely access a company’s infrastructure or use crowdsourcing technologies. Data entry jobs can include fields such as general and medical transcription; However, most transcription takes more experience than data entry. See this list of entry level typing jobs for beginners. Companies like Google, Bing, and Yahoo! give you information to search for, and you tell them how closely their results matched what you were looking for. Does a search for Lady Antebellum turn up sites about the music group or links to pre-Civil War period information? If you are Latina, for example, you might be asked to search the way a Spanish speaker might perform a search in English. Jobs are usually between 10 to 25 hours a week. Most companies hire through firms like Leapforce At Home and Appen Butler Hill. Companies look for workers with excellent speaking abilities and solid. computer skills to help customers find a correct size, place an order or resolve a conflict. Both full- and part-time positions are available, and you are generally required to devote a four-hour block of time. Customer service is the biggest work-at-home field, with companies including LiveOps, Sitel, VeraFast and many others using at-home reps. Confused? Don’t be. Cuddling is a new trending job position or business model where people market themselves as professional cuddlers and make money for providing cuddling services. 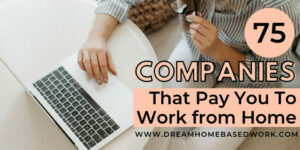 You can work as a freelance cuddler or with a company. Professional cuddling involves cuddling with a random stranger to bring love and joy into that person’s life. It is a caring exchange of holding hands, spooning and light massage between a client and a cuddler in a non-sexual way. Click here to see how you can make up to $80 per hour with professional cuddling. 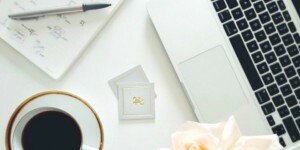 A virtual assistant typically operates from a home office but is able to access the necessary planning documents, such as shared calendars, remotely. Many companies such as Fancy Hands, Virtual Gal Friday, and Worldwide 101, hire self-employed virtual assistants to save employment costs. You will perform typical office duties from home such as replying to emails, managing calendars, entering data, and assisting with social media. 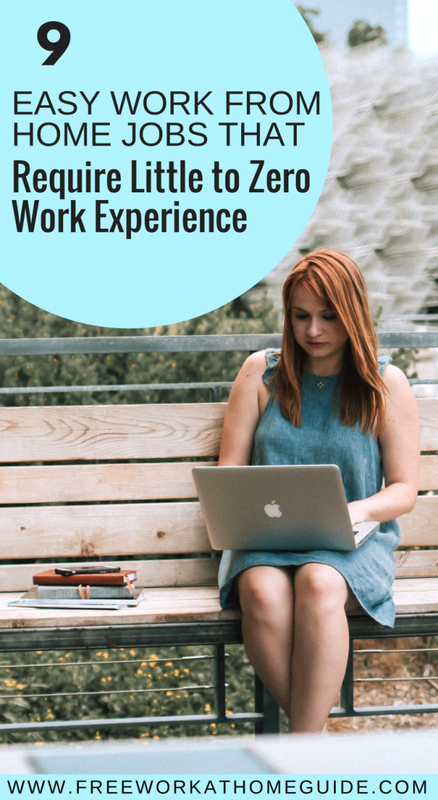 We hope this article helped you find easy work from home that requires little to zero experience. 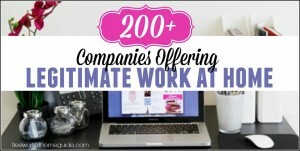 You may also want to see our big list of 100 companies that offer scam-free part-time jobs. If you liked this article, then please subscribe to our YouTube Channel for work at home job alerts. You can also find us on Pinterest and Facebook.